Our site is protected by Yahoo! 128-Bit encryption and is scanned and tested daily by McAfee Secure for your protection. 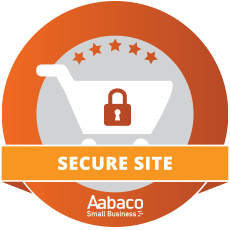 You can shop with total confidence that your information is 100% safe and secure at all times!. You can access all your personally identifiable information that we collect online and maintain by our encrypted information storage system. We use this procedure to better safeguard your information. Should you have other questions or concerns about these privacy policies, please call us at 814-942-1869 or send us an email at cobranda@aol.com.